In 2011, construction and rehabilitation of the 50,000 capacity stadium in Lusaka commenced. The expected total cost of the project is 94 million USD. The Shanghai Construction Group of China is responsible for the construction. The Zambia Electricity Supply Corporation (ZESCO) supplied power to the site. According to a BBC Sport article in 2014, construction of the Heroes stadium in Lusaka has officially been completed and handed over to the Zambian government. An article from 10/1/14 confirms that China-EXIM provided the Zambian government with a concessional loan in order to finance the full cost of this project. For academic purposes: Dreher, A., Fuchs, A., Parks, B.C., Strange, A. M., & Tierney, M. J. (2017). 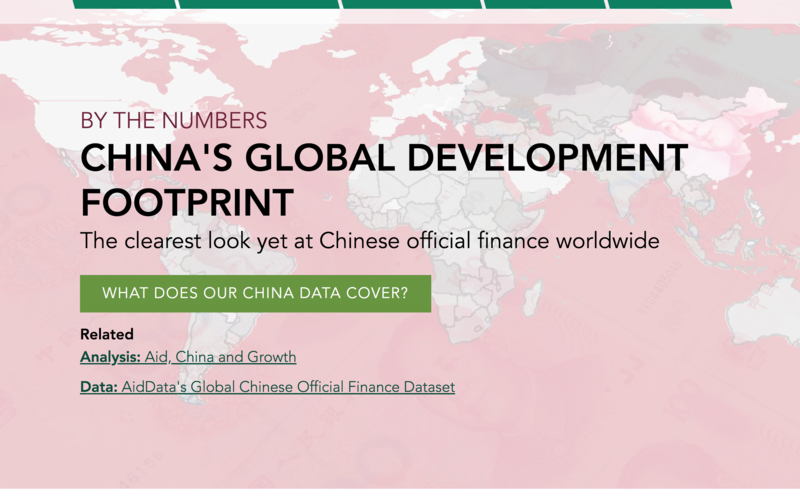 Aid, China, and Growth: Evidence from a New Global Development Finance Dataset. AidData Working Paper #46. Williamsburg, VA: AidData. For other (non-academic) purposes: AidData. 2017. Global Chinese Official Finance Dataset, Version 1.0. Retrieved from http://aiddata.org/data/chinese-global-official-finance-dataset. Unique identification number assigned to every project in the dataset. Within the dynamic, online version of the dataset (at china.aiddata.org), projects can be accessed with their unique identification numbers by using the “Access project by ID” function. 1-2 paragraph comprehensive summary of the activities supported by the project. See page 15 of the methodology for a detailed explanation of how this variable is recorded. Tracks the progression of a project. Labels include: Pipeline: Pledge, Pipeline: Commitment, Implementation, Completed, Suspended, Cancelled. This field identifies projects that AidData recommends including for normal research & financial analysis. It is equal to "TRUE" for all projects except for those that are marked as umbrella projects, pledges, cancelled, or suspended projects. We recommend excluding the projects marked "FALSE" because the umbrella projects and projects with a status of pledged, cancelled, or suspended likely represent double counting or would lead to including flows that were never fully committed/implemented. This field is meant to make it easier for users to clearly identify the set of projects that we recommend using to better understand the volume and composition of Chinese Official Finance. This field identifies projects where some agreement was signed between two countries but the funds were not allocated at the original agreement date, only to be allocated through smaller projects later on. Given the nature of TUFF data collection, it is likely that the smaller projects that relate to these umbrella projects were captured elsewhere in the dataset. To avoid double counting, we suggest users do not include records that are marked as umbrella projects in financial analysis. All general lines of credit are also marked as umbrella projects. A binary marker that indicates when a project has been verified with in-country field research. Entity providing assistance to recipient country. This can be a sovereign state or multilateral organization providing assistance to a recipient country. For this dataset, the donor will always be China. Donor agency that provided the funding. Agency that implemented the project. Could be from the donor, recipient or other parties. Recipient country. If multiple countries were identified as recipients, this field identifies the smallest regional grouping that all specified countries belong to. Region of the recipient country. The subnational locations where projects occurred. Recipient agencies that are involved in the project. Number of recipient agencies that are involved in the project. The recipient entity or entities receiving official finance from a donor entity. A project record can have multiple recipients in cases where a donor entity is providing financing, goods or services to more than one country through a single project. This field provides a pipe-delimited list of all recipients specified as receiving official finance from a donor entity. Monetary amount pledged or committed by the donor entity for the completion of a project. Currency associated with the monetary amount for a project. Deflator value calculated based on AidData methodology (which mimics OECD deflation methodology) using World Bank sources. Deflator is calculated using donor country inflation and change in buying power. Exchange rate used to change the specified currency of the original amount into USD. Coders are also instructed to assign all projects to one of the following flow class categories: ODA-like, OOF-like, Vague (Official Finance), Official Investment, Official Religious Aid 1, and Official Religious Aid 2. More details on these flow categorizations can be found in Tuff Methodology 1.3 document. If the goal is to estimate Chinese Official Development Assistance in the strictest sense, include only projects with this field as ODA-like. However, if the goal is to estimate a more comprehensive measure of concessional and non-concessional Chinese Official Finance, then include ODA-like, OOF-like and Vague (Official Finance). Perceived intent of the finance provider. Categories covered by “donor intent” include: Development, Commercial, Representational, Mixed (encompassing any combination of the other three intents). Denotes a project or financial arrangement where the donor extended a line of credit to a recipient entity. This credit may or may not be used in its entirety by the recipient. Denotes projects with multiple countries acting as donor (including the donor of investigation), where the financial amount provided by each donor separately could not distinguished. Represents the general nature of the loan. Categories covered include: interestfree; concessional; non-concessional; no information and some information. Grant element of the loan, in percent. Uses grant element reported by project sources, unless it can be calculated independently with the OECD grant element calculator (assumes 10 percent rate of discount, 2 payments per annum, and equity principal payment). The year in which an agreement was reportedly made between a supplier of development finance and a recipient for a project. If available, the agreement year is the year of the formal signed commitment for a project; if commitment year is unavailable, or if a commitment has not been made, the year of the informal pledge is the agreement year for a project. The actual date that the implementation of a project began on. The announced start date for a project. The actual date that a project was completed on. The announced completion date for a project. How do we define a "source"? Links to all the sources attached to one project. Number of sources attached to one project. Name and position of people who were involved in the project if available. Rates projects based on the types of sources (media, academic, donor/recipient government, other official, NGO). The source triangulation measure varies from 0 to 19, with higher values representing a project record that draws upon a diverse set of information sources. For more information, see http://china.aiddata.org/content/improving_the_data. Rates projects based on the number of missing data fields critical to understanding the project. It also penalized projects with “Vague” makers like “Vague Official Finance” for flow class or “Vague TBD” for flow type. The field completeness measure varies from 0 to 9; higher values indicate that a higher percentage of the “fields” (i.e. variables such as transaction amount, flow type, and commitment year) for a given project record are complete. For more information, see http://china.aiddata.org/content/improving_the_data. How did we collect this information? AidData is a research lab at William & Mary. We equip policymakers and practitioners with better evidence to improve how sustainable development investments are targeted, monitored, and evaluated. We use rigorous methods, cutting-edge tools, and granular data to answer the question: who is doing what, where, for whom, and to what effect?